This package is designed to be a simple plug-and-play remote system! The remote head is controlled by one multi-pin cable for pan/tilt, zoom, and focus control. HD video exits the head via a BNC connection. 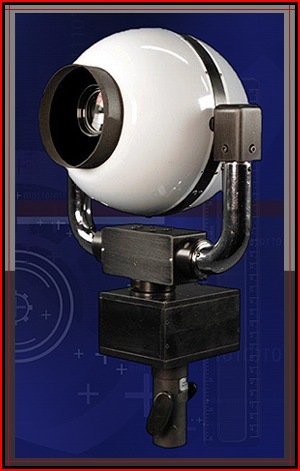 The data control for pan/tilt and camera RCP can be either copper (over 3,000 feet) or fiber. 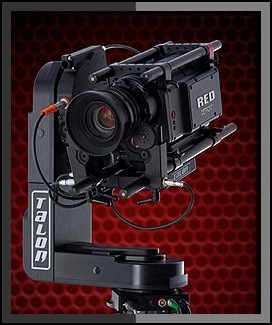 An excellent quality compact pan/tilt camera head complete with full motion control capabilities and high speed revolution, the Talon is designed for HD cameras and compact camera systems alike. 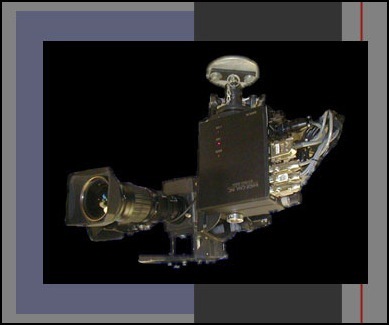 The Talon is very precise, quiet, and capable of smoothly controlling cameras with extreme zoom lenses. The motion is repeatable and frame accurate. The Pee-Pod offers an exciting blend of performance, versatility, & style. 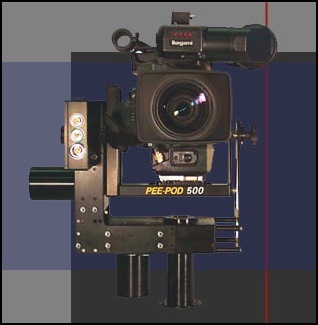 The Pee-Pod is the prime component of a unique system that can be used as a remote head for a jib arm combination or linked into a variety of pc's, remote consoles, or laptops for memory playback or multiple head combinations. Each part of the system is linked to this Power/Data cable. These links can be in any order, as long as every module in the system is connected to the Power/Data cable in some way. 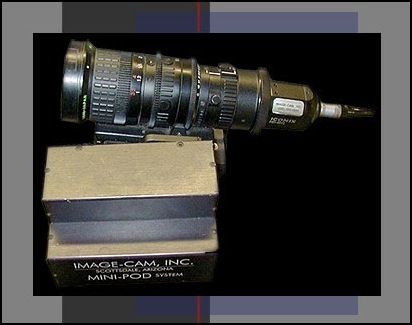 MINI POD by Image-Cam, Inc.
Pan/Tilt movement: +/1 360 degrees. The Mini Head with the Image-Cam Data System allows control via fiber or co-ax and the controls to be virtually miles away. It weighs in at only seven pounds and can perform one revolution in two-and-a-half seconds. The head is capable of carrying up to a twenty-five pound camera and has a super smooth control console. 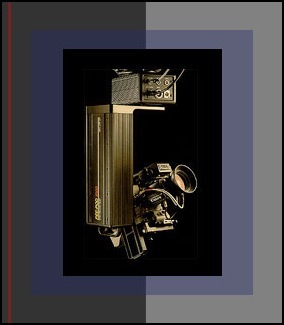 Cameramen, producers and audiences love big sweeping shots, boom-ups, and glide-ins. Nothing delivers production value like a crane. But everyone knows that cranes come at a price - setup time, size, weight, and other limitations... until now. Polecam is the crane unleashed! Imagine a 20' foot crane you can put anywhere (in a boat, a pick-up, a golf cart, or on a harness! ); a crane you can set up in under 10 minutes and then move anywhere you like in seconds. 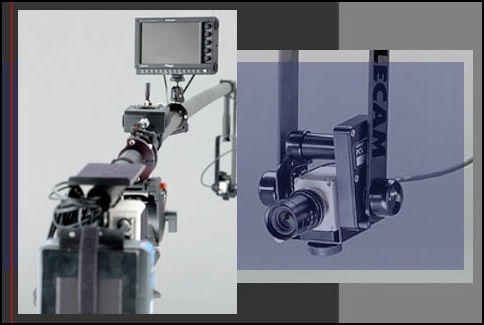 Polecam delivers all the production value of a typical jib in less space, with less weight and much faster set up time. Joystick controller from which runs the pan & tilt head. All aspects of the controller can be customized: speed/direction/etc.